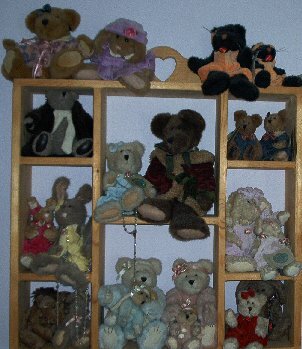 Above you will see some of my Boyds Bears plush collection. 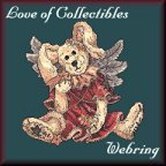 Lots of adorable bears along with some hares and some cats! Some are dressed in velvet rompers. 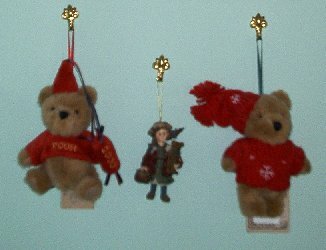 Above you will see two versions of Pooh done by Boyds Bears. In the middle is a Boyds Dollstone ornament. This bear won a TOBY award. He's adorable! I bought him several years ago. 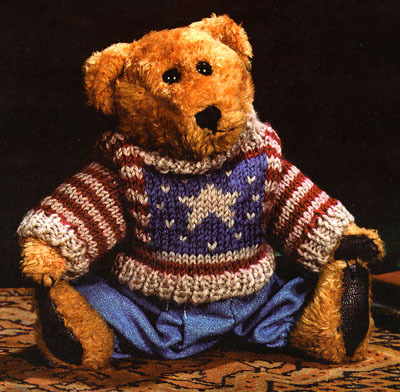 He shows his pride to be an American by wearing the American flag on his sweater.